If you wander the streets of Little India, push the stroll along Jalan Besar near Sungei Road, between Kelantan Road and Weld Road, and go back in time with this outdoor market where all kind of vintage goods are laid out on the most basic stalls. 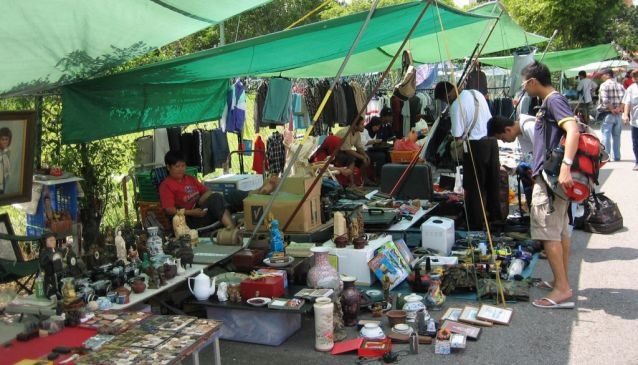 This is not the place for fashion finds, not even something decent to wear, yet Sungei Road Thieves Market hosts more than 400 vendors selling out-of-date goods most of us have forgotten about. This includes cassette tapes, vinyls, dial telephones, old cameras and other electronic gadgets but also Buddhist charms, books, souvenirs, second hand shoes and pots and pans among other odds and ends.